The right pair of noise cancelling headphones can be satisfying to behold, but such delights rarely come cheap. I wouldn’t go so far as to say that Plantronics’ new BackBeat Go 810 are cheap - but they are cheaper. Not quite inexpensive, but definitely more affordable than the competition. And that fiscal edge is ends up being exactly what the BackBeat Go 810 needs to push it over from being just another set of noise-cancelling headphones to a surprisingly good pair for the money. Again, nobody’s claiming you should replace your existing set of Bose or Sony cans for these. 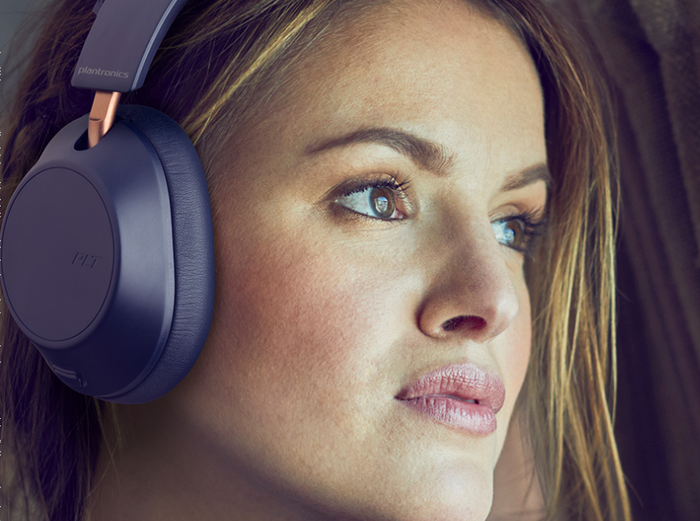 However, if you’re looking to buy your first set of noise cancelling headphones and like the idea of saving some money, they’re definitely going to be worth a look. To those familiar with the brand, the BackBeat Go 810 will be immediately recognisable as smart revision on the prior BackBeat Go 600 series. They’re a little bulkier, but the extra memory foam padding does keep things pretty comfortable. All told, they look like a reasonable slick and modern pair of headphones with nice copper accents thrown in for good measure. As for the controls: there’s an on/off toggle on one earcup and volume shortcuts on the other. Setup is super-easy and quick. You click the headphones into pairing mode, connect via Bluetooth and you’re good to go. Plantronics haven’t tried to reinvent the wheel here but when the whole process takes about a minute, it’s hard to complain too much. There’s also a 3.5mm audio jack here, allowing you to use the BackBeat Go 810 as wired headphones. This isn’t exactly a revolutionary inclusion - but in a time where the traditional headphone jack is almost an endangered species, it’s appreciated nevertheless. The one thing you aren’t getting here that you would with many other noise cancelling headphones is flexibility. The earcups on the BackBeat Go 810 are pretty easy to twist and turn but you can’t really fold the headphones up in the same way you can with stuff like the Sony WH-1000X M3s. 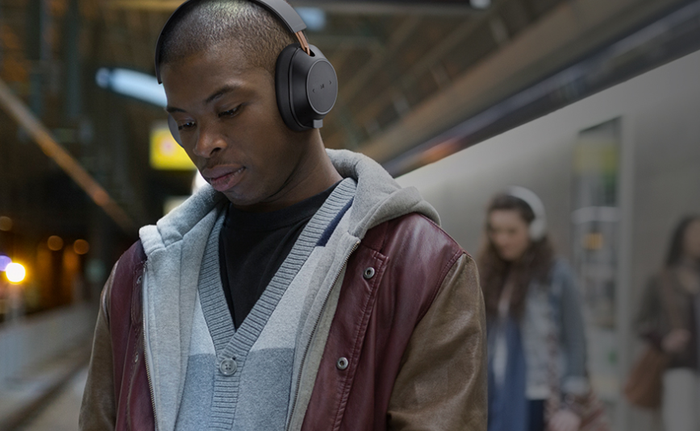 In line with other BackBeat products, the BackBeat GO 810 integrate with Plantronics’ own BackBeat App. While, sure, having a connected app is nothing particularly unique. The BackBeat app itself is probably one of the cleanest and most intuitive companion apps we’ve seen paired with a set of noise cancelling headphones to date. It’s super-straightforward to set up and even more-so to use. It features all the usual toggles you’d expect, plus a few you might not. As for the sound quality, the BackBeat GO 810 live up to their price-tag but rarely extend themselves beyond it. They sound good! But they rarely sound great. More specifically, the bass is sometimes a little weak - or, at least, weaker than I’d like. Still, they don’t skimp on the volume and the sound signature is balanced enough for the most part that you’re unlikely to complain. Unfortunately, as far as the noise-cancelling in the BackBeat Go 810 go, it’s no Sennheiser. Nor is it a Bose or a Sony. Honestly, as someone who reviews a fair amount of noise-cancelling headphones, I found the level of noise cancellation a little underwhelming. It’s definitely better than nothing but I still encountered too much noise pollution for it to be anywhere near as immersive as more expensive alternatives. The last part of the picture here is battery life - and the BackBeat 810 hold their own on this front. They offer up to 22 hours of playback and up to 60 hours of pure ANC - which is a pretty impressive feat considering the price-tag. If you’re looking at these from a value-first perspective, there’s a lot to like there. If you’re after the best pair of noise-cancelling headphones money can buy, keep looking. There are better options out there. 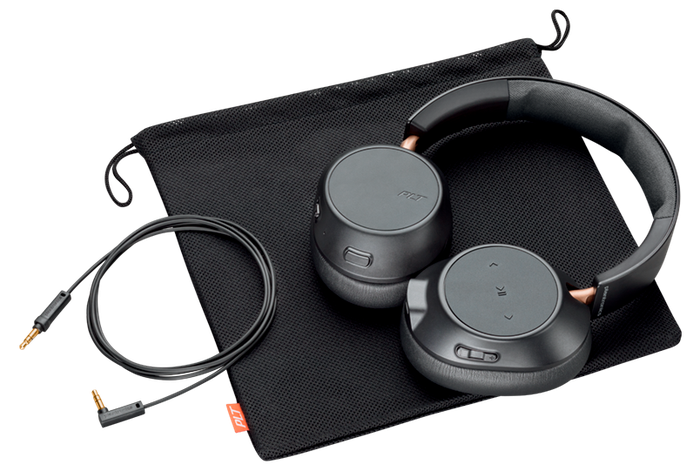 However, if you’re after a safe set of noise-cancelling headphones for your morning commute, the Plantronics BackBeat GO 810 are a good bet.